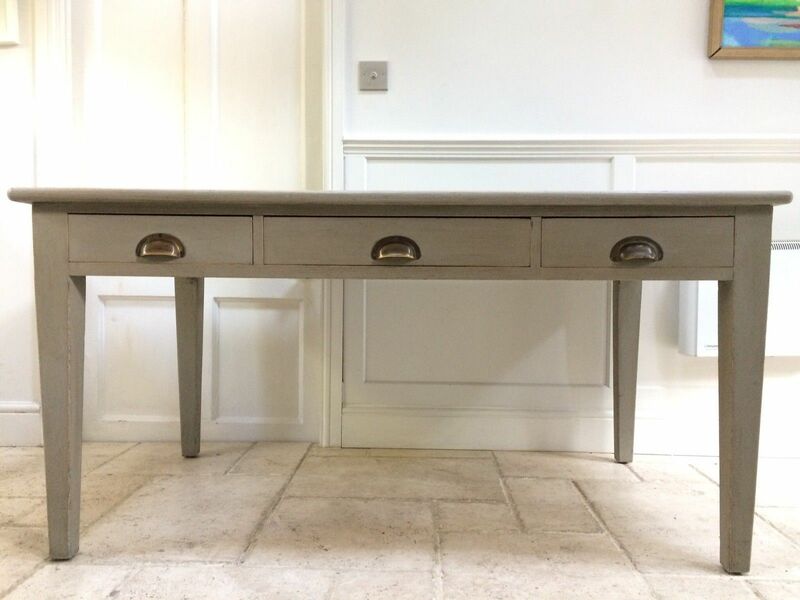 Charming early 20th century solid oak library table, with three useful drawers. 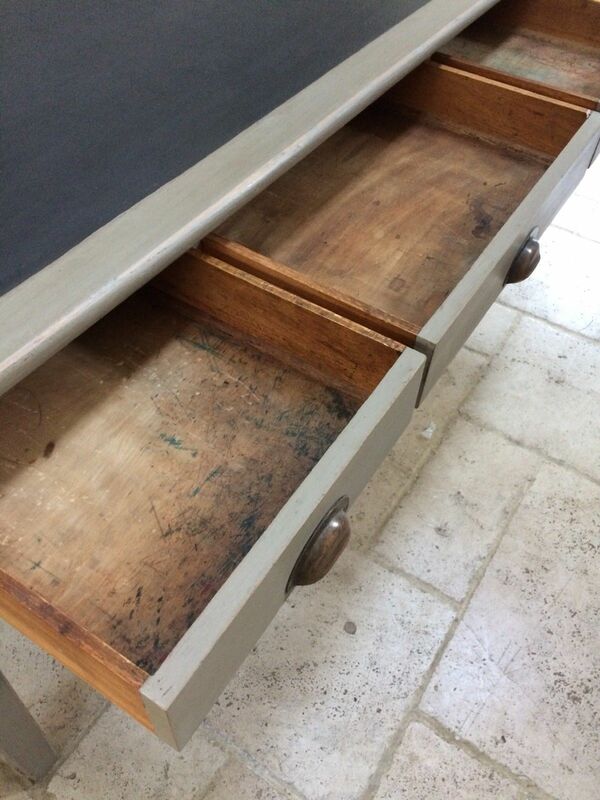 In good Antique condition, with dovetail joints to the drawers. 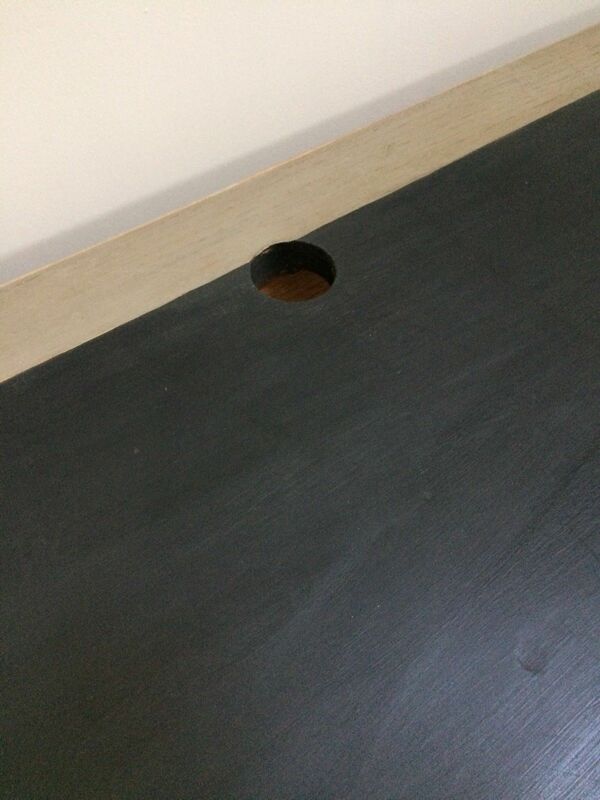 A hole had been cut in it for computer/ telephone wires so hopefully this will be useful for the next owner. Vintage style distressed metal cup handles. Good and sturdy. 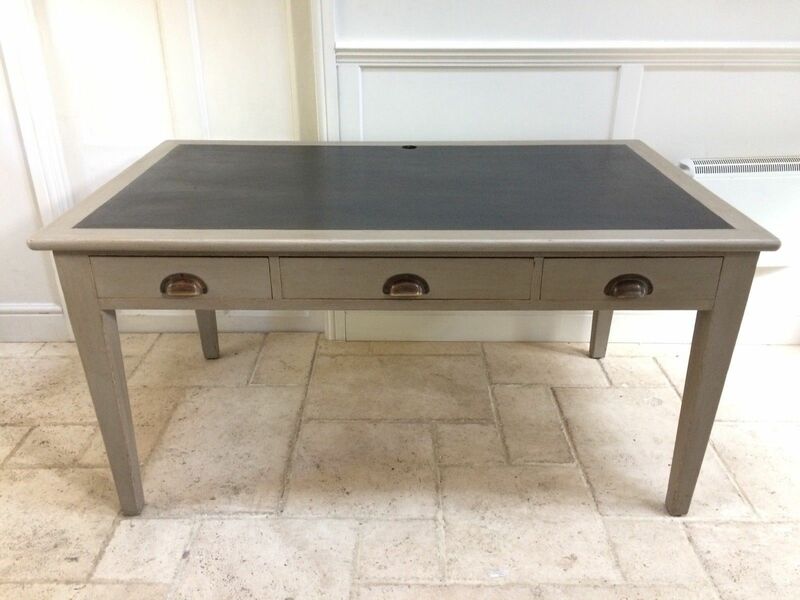 The leather on the top has been removed at some time so we have painted the wood insert in Graphite and waxed with Annie Sloan Black wax. This waxed finish looks surprisingly like leather, there are a few small dents and marks on the top, commensurate with age, but this just makes it look more authentic. 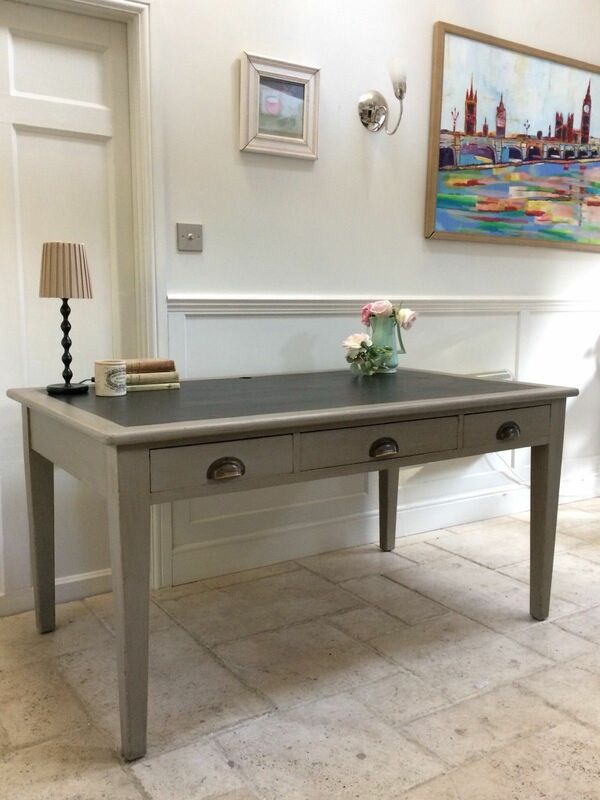 The desk has been painted in French Linen Grey with a clear and dark wax finish to give a lovely aged look and durable finish.